Kiini Ibura Salaam has been writing essays and short stories since 1990. Over the years, she discovered that there’s much more to writing than sitting down and writing. There are a series of complex psychological and logistical demands that artists have to navigate to sustain artmaking on an ongoing basis. Is my work good enough? Does anyone care what I’m writing about? How do I promote my work? How do I squeeze writing into my everyday life? 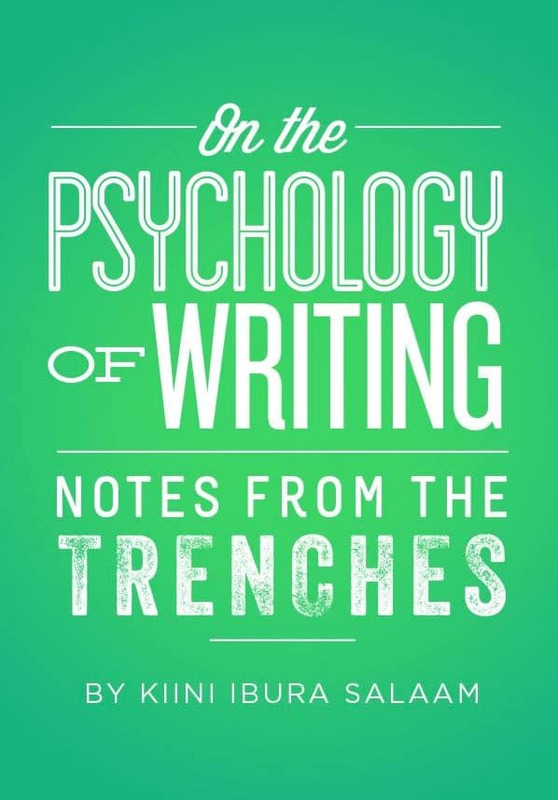 The “Notes from the Writing Trenches” series takes an inside look at everything from the psychology of writing to the craft of writing to the business of writing. The series gives an intimate, inside look at how writers can sustain the blows of anonymity and doubt while inspiring all artists to follow the voice within that urges them to create. In this volume–The Psychology of Writing–Salaam tackles the psychological roadblocks to artistic productivity and provides tips and mental tricks to overcome challenges and setbacks on the artist’s journey.